This morning, our Student Worship Band lead worship during a combined Middle School and High School Chapel experience. 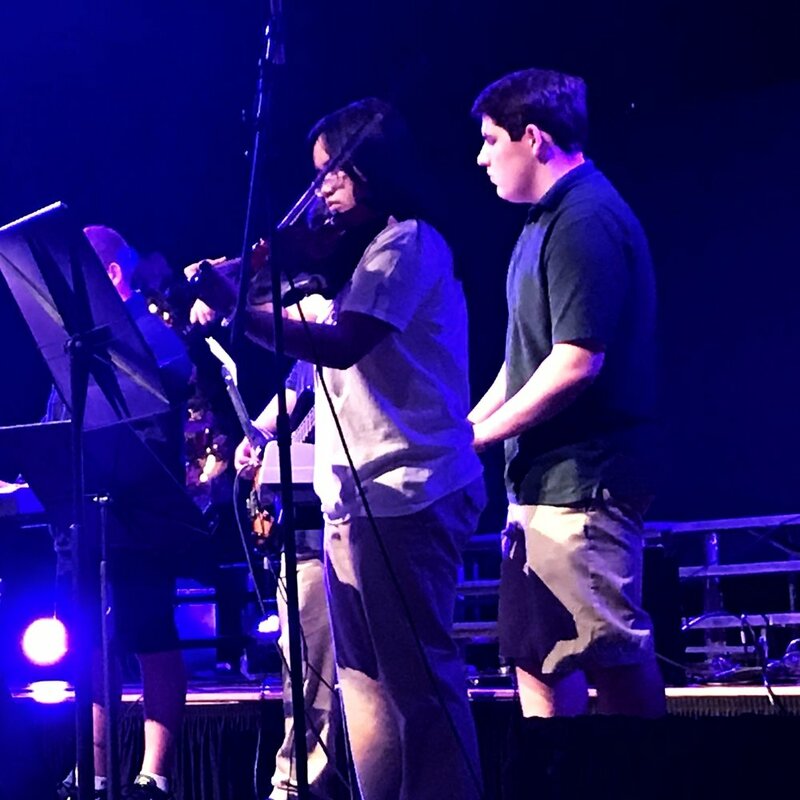 Members of the Student Worship Band include Emily Armstrong, Haley Biesiadecki, Emily Bowling, Alexis Dunston, & Savannah Pierce (vocals), Alex Wright (bass), Thomas Letke (guitar), Delaire Gackle, Owen Helsens & Jonathan Moye (keys) and Madeleine Tran (violin). Thank you to LCA Parent & Varsity Baseball Coach Kris Yancey who spent a few minutes speaking with the students about being real. Bouncing off this year's high school theme of R.E.A.L (Relationship, Elevation, Authentic, Love), he shared with the students what it means to be the righteousness of God through Christ.